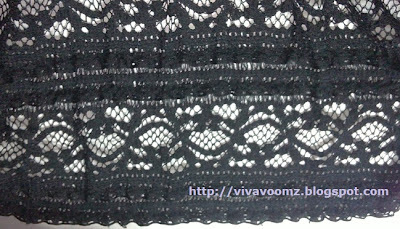 Just bought this Zara Lace Dress in black from a Gmarket seller. 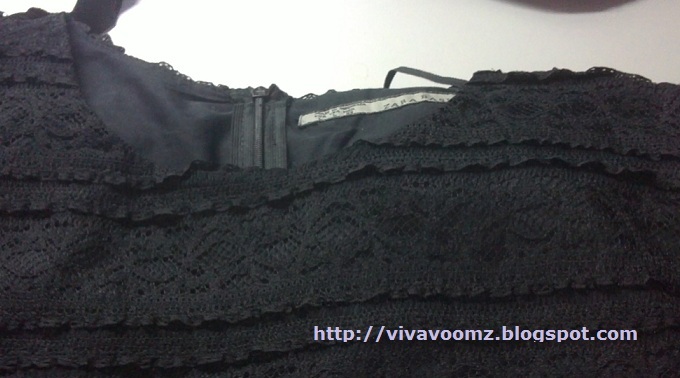 Seller stated that it is an authentic Zara piece that is factory overrun. I am actually very skeptical about all the branded pieces selling in Gmarket (or in general, any online selling platform). As the Zara tag looks a bit flimsy, I don't really think this is authentic. Nevertheless, I still like this piece a lot and feel it's worth paying $30 for. The lace detail is amazing. I've been wanting a lace overlay dress for months so this is perfect. The top half is fitted while the bottom half is more of a flouncy skirt with the lace draping over a opaque cotton poofy skirt that acts as the lining. You get a ribbon to tie around the waist too. It is exactly the same as the first picture. There's also a zipper at the back which ends at the waist. I had no problem with the size I ordered but if you have broader shoulders, maybe you want to order a size up since most of the girls (you can read reviews on the site) say that the zipper makes it harder for them to get out of the dress.